Still devastated after the loss of his wife, Tom and his young son Jake move to the sleepy village. But the town has a dark past. Fifteen years ago a serial killer abducted and murdered five young boys. 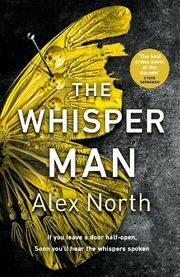 Until he was finally caught, the killer was known as 'The Whisper Man'. Now another boy has gone missing. And then Jake begins acting strangely. He says he hears a whispering at his window... Get ready for the biggest thriller of 2019!